I try real hard to be a competent modeler, but I fail most of the time. But I still like to find sources for inspiration. And I’ve been following motor sports since 1964 or so, when my cousin took me to my first race: a flugplatzrennen (race on an airport) at Tulln-Langenlebarn, in Austria (where, incidentally, my parents met). In the interest of full disclosure, I must let you know that I have 6 photos in this book, but I do not get any kickback should you buy it. And buy it you should. If you have any interest in Porsche racing cars from the 1960s, this book is incredible. About 1000 photos, most of them never seen before (because the author has chased down photos from private collections, like mine). Lots of them in color, and lots of cool stuff going on in the backgrounds. Photos of the rear decks, of the tops, of the sides...all those things that you can’t easily find photos of. I can’t comment on the accuracy of the text (I’ll leave that to other historians), but what I’ve read is well written and entertaining. This is a story of more than the cars: there’s stuff in there about the owners of the cars, the drivers of the cars, and the races the cars ran in. The first 50 pages is about the racers and owners. 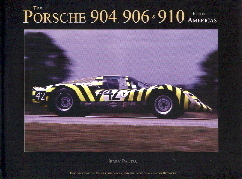 The next 150 pages is about the races (CanAm, USRRC, enduros, and even SCCA and ARRC), with more photos. The next 200 pages is about the individual chassis, with more photos. The last 50 pages contain information about races in South America, 904s for the road, and some other stuff. It’s a book about Porsches, but every so often you’ll find a snippet about something else. Like “The Alfa 33.2” on page 152, which keeps it all in context. 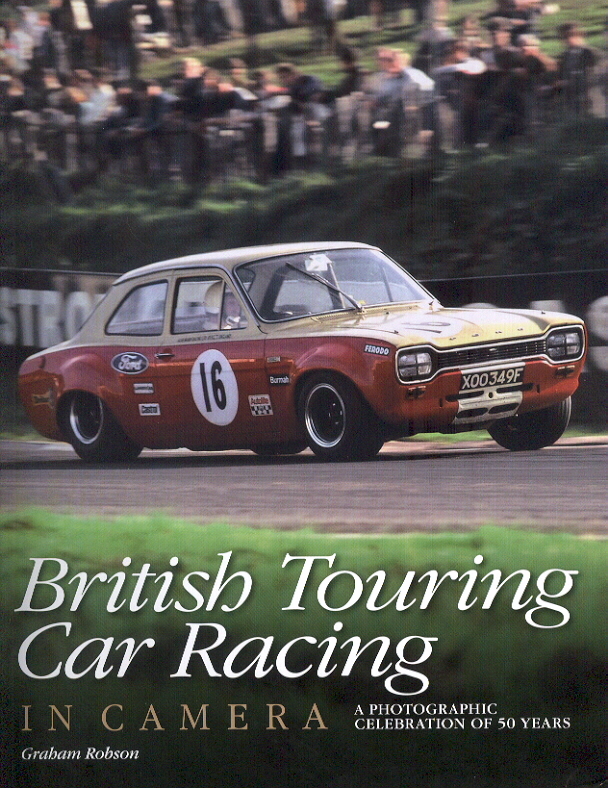 The British Touring Car Championship had all sorts of cool cars running in its early years. Jaguar dominated in the late 50s, but starting in 1963, American iron came on the scene. In 193, three of the top six in the championship drove Galaxies. Mustangs, Falcons, and Camaros made their way over in the later 60s. But where are the photos of these cars? A couple of shots here and there, but most of the 60s/70s color is devoted to Escorts, Minis, and Falcons. The later years have lots of color of cars that aren’t available to HO modelers. But if you have lots of AFX Escorts and Capris hanging around, this might be a useful purchase. Starkey has done a lot of earlier books on Lolas, and this one has a lot more photos. Most of them B&W, but they still offer a lot of modeling opportunities if you can find other, color, sources. And I have to admit: I have about 40 photos in this book (many of them attributed to others, but they really are mine). I think this is the English translation of another Porsche 908 book (the name of which I cannot remember), also by Fodisch. This book is phenomenal for modelers. Many many color photos of liveries unseen, as far as I can tell, elsewhere. And if anyone can tell me the logos on the green 917-10 on page 165,please let me know. This paperback is loaded with color photos, most of them of subjects I’ve not seen elsewhere. But there weren’t many of these cars built (only three 312Ps, from what I’ve heard) and if you’ve built one, you’ve probably built enough. But still, it’s a nice book to have around, and the price is right (under $20 when I got mine). The second volume, on Matras, is now available. A very pricey set (though the price might have been recently and permanently reduced to $80) of history books with mostly B&W photos of common cars. Not much here for the HO modeler...though it’s fun turning the pages.